FALL Intake 2019 – ADMISSIONS OPEN! 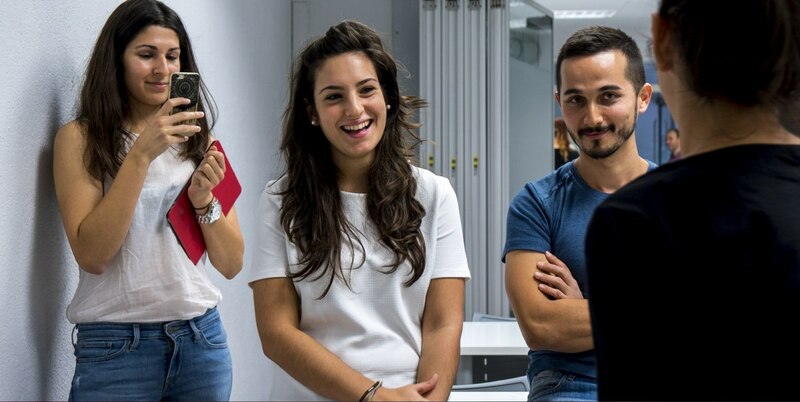 ESEI’s Master in Marketing and Communication is a versatile and well-respected qualification accredited by the Universidad Católica de Murcia (UCAM) that prepares you for a career in a number of professions, including public relations, digital marketing, event management and other related fields. Join the programme and take the next step in your professional life. Become an expert in global marketing trends, and learn how to develop effective marketing strategies and communication plans. ESEI graduates go on to lead a great variety of successful careers, from professional skateboarders to company CEO´s. All continuing masters students will take this module to prepare for their final thesis and defence, which are both at the end of this final semester. the module also contains a session on communication skills- the giving and receiving of feedback in particular – to support and enhance the open peer-assessment on the masters programmes. The Distribution process is an often complex affair, but essential in making the end product available to consumers in a way that is fast and efficient. A strong brand is great, but we need an understanding of distribution channels and the commercial networks available, to ensure that the product is in the right place at the right time when consumers want to buy. Managing a brand is a skill which most people automatically assume a marketer possess, which does no justice to the complexity it represents. Marketing-driven companies need good brand management to create trusted and recognised brand, generating equity for the organisation, but just how can this be done, and what are the factors involved? Marketing is evolving, as it absorbs know-how from other disciplines such as sociology and neurology, creating fascinating new approaches such as empathetic marketing, experiential marketing, guerilla marketing and neuromarketing. This module looks at where marketing is evolving and how we might put these practical new techniques to good use. MICE is a competitive arena. To be successful, your event needs to not only be different; it must appear different before it even takes place. It must also go smoothly, and this requires an ability to plan, market, finance, organise and execute the process seamlessly. The aim of this course is to help the student understand and control emotions through a system of decision-based negotiation. It teaches us how to ignore the siren call of the final result, which we can’t really control, and focus instead on the activities and behaviour that we can and must control in order to negotiate with the pros. The module aims to introduce current thinking and practice in the field of conflict resolution, conflict management and conflict transformation, including conflict prevention and peace-building. Can conflicts be prevented, and how are they brought to an end? Is it possible to deal with the root causes of conflict? IHRM deals with the complex world of managing expatriate assignments, and working with systems of reward, incentive, job design, recruitment and selection across a myriad of cultural complexities; both national and organisational. This module looks at what they key issues are involved. As culture is a complex area, this module does not seek to be all things to all people. Instead, it examines the influence of cultural factors on the organization and its management, and helps students to develop, through a reflective and interactional process, their intercultural communicative competence. This module focuses on the infrastructure for communication and the way in which it can be managed strategically. It will focus on the defining of communication goals and how resources can be selected and applied to achieve these goals. Content strategies are examined through case studies, and we will touch upon how other business functions such as budgeting and reporting come into play in an integrated communications strategy. From Johnson & Johnson´s Tylenol case in the 80´s to BP´s Deepwater Horizon, crisis can strike at any moment and threaten the very existence of a company. The best plan in the world will have little effect if it is not well communicated; both internally and externally. This module examines the critical success factors in crisis management communication. This module looks at budget forecasting and detailed financial analysis for effective budget management. This is not a web-design module, but focuses on the interaction with the web designer. In setting up a business, we know a website is necessary, but what do we ask the designer for? A good web designer can help, but we must understand what we need the website to do, and how it complements and supports our brand. This module is extremely practical and will help business owners and entrepreneurs know what to ask for and how to deal with web developers. Sustainability is, or should be, the guiding principle of any business which hopes to last, and contribute to the world in a positive way. This module looks at the philosophy and psychology involved in ethical decision-making, and moves on to look at consequentiality thinking writ-large: CSR and corporate citizenship, and how to communicate these core strategies in a way which fits the brand and hits the mark. This module will evaluate the strategic role of PR in both the creation and management of organisational reputation and image. 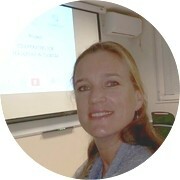 It will pay particular attention to the impact of new media technologies on the world of spin, image and relationships. A community manager is on the front lines of customer engagement. As such, it is a critical role to get right. This module examines the process involved in building and sustaining meaningful engagement with your community, and how to earn their trust to build long term relationships. Luxury brand management is a an evolving area of marketing and communication. Is luxury still the same as rarity? Should we still assume that skimming is the default pricing strategy for prestigious brands. this module looks at the developments and challenges in managing luxury brands, what is at stake, and how the brand can be protected in an ever-changing section of the market. Disruptive products or processes can bring great success, and Innovation is possible everywhere, no matter what people tell you. This module helps us put to rest the expression “if it isn´t broken, don´t fix it”, by examining the customer journey in their interaction with real life products and brands, and identifying where innovation may be made. This approach is practical and be applied to any product or service and lead to to…who knows? Billed by many as the most important skill in business communication, storytelling is not a new buzzword which will dissipate with the rest, but a timeless driver of change throughout human history. the truth is, many of us have forgotten how tell a good story, and without that, we fail to communicate the quintessence of our brand, our ideas and ourselves. This module focuses on you and your path ahead. After reflecting on the things we really want from a career and where our passion lies, we take time to hone your personal brand both online and offline; looking at interview and networking techniques to carve out that path for yourself. After working for Unilever and Nestle, he founded his own Marketing Consultancy, Gold agency. 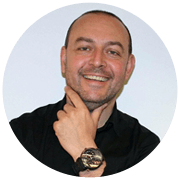 He is also the founder and owner of SportCom, company dedicated to Sport Marketing in Europe. Hospitality and Tourism professional, she has worked more than 10 years in a variety of fields including IT Hardware, Events Organization, and Tourism & Leisure. The training at ESEI is very rewarding, and for masters students like me, ESEI is a school that gives us the necessary tools and knowledge to start our life in the professional world. The Master Programme in Marketing and Communication is equivalent to 60 ECTS Credits at level 7 on the European Qualifications framework. The MBA is equivalent to 120 ECTS at level 7 on the European Qualifications Framework. 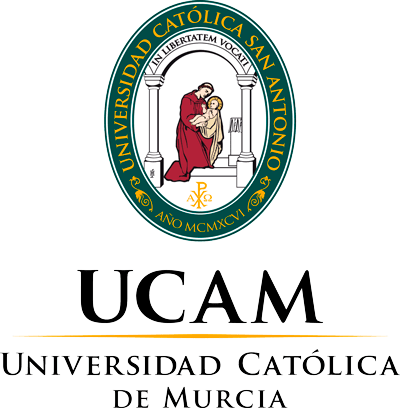 Credits issued by the Universidad Católica de Murcia (UCAM). Let us know! We would be happy to advise you!